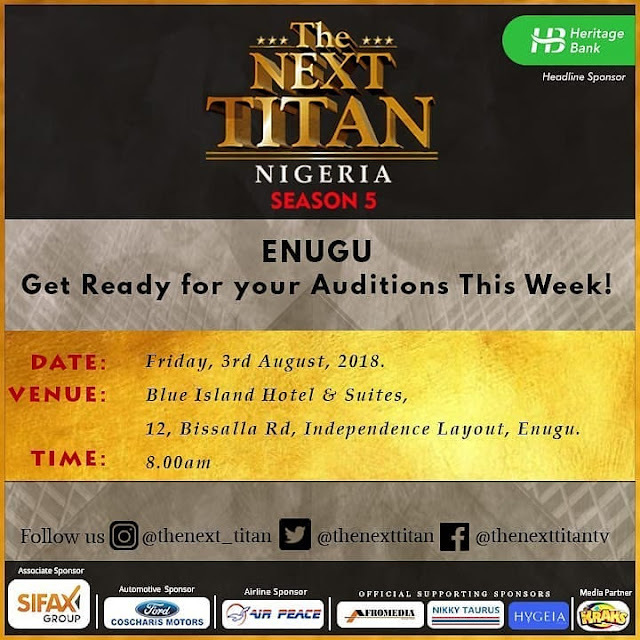 The Next Titan Season 5 Enugu Auditions will be holding this week! DATE: Friday, 3rd August, 2018. VENUE: Blue Islands Hotel & Suites, 12 Bissalla Road, Independence Layout, Enugu. Go to www.thenexttitan.com to register.